سواءً كنت مسافراً بغرض السياحة أو العمل، Cairns City Palms هو خيار عظيم للإقامة خلال زيارتك للمدينة. لا يبعد الفندق كثيراً عن مركز المدينة، فهو يقع على بعد 2 Km منها. في حين يستغرق الطريق منها إلى المطار حوالي 10 دقيقة. سوف يعشق النزلاء موقع هذا الفندق، فهو قريب من أهم المعالم السياحية في المدينة . يعمل Cairns City Palms على ضمان إقامة مريحة لضيوفه من خلال خدماته الممتازة وحسن ضيافته. إن واي فاي مجاني في جميع الغرف, خدمة التنظيف يوميًا, خدمة غسيل ذاتية, خدمة سيارات الأجرة, مطبخ هي جزء فقط من الخدمات التي تميز Cairns City Palms عن باقي الفنادق في المدينة. لقد جهزت هذه الإقامة الفندقية بعناية فائقة لتوفر مستوى عالي من الراحة. في بعض الغرف يجد النزيل تلفزيون بشاشة مسطحة, مواد تنظيف, رف للملابس, قهوة فورية مجانية, شاي مجاني. كما أن مجموعة الخدمات الواسعة الموجودة في الفندق لضمان راحتك تترك لك الكثير من الخيارات لقضاء وقتك أثناء فترة إقامتك. إن Cairns City Palms هو خيار ذكي بالنسبة للمسافرين، فهو يوفر إقامة هادئة ومناسبة للاسترخاء. يجب على النزلاء الذين سيصلون خارج ساعات عمل مكتب الاستقبال إعلام الفندق مسبقًا. ويمكن العثور على بيانات الاتصال في تأكيد الحجز. Little bit far from the city center. 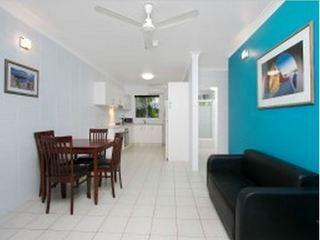 Nevertheless, I would stay here if I came to Cairns again. Small but nice swimming pool. Quiet and very good condition of the room. So clean and tidy. The receptions was really nice to me, so I want to say thank u ! Even the location is not located at city center but can access to centre within 5-10 minutes. the Staff was so friendly and helpful, thanks Angela for giving us room before checkin time as we just had over overnight flight and so tired. the housekeeping just clean up a bit at the first night but not for the rest. Hello Kheng, Thank you for your positive comments. We are so glad to hear that you enjoyed your stay with us. We hope your next stay will be just around the corner! Great little kitchenette in room. Cleanest place we have stayed. Free brekky a bonus! Only downside was that it is a bit out if town, with out a car. Hello Sandra, Thank you for taking the time to review your stay with us. We are very pleased to hear that our staff made your stay pleasant. Cleanliness is also very important for us. Hope to welcome you again next time in tropical Cairns! Pool was refreshing. Very clean. Close to town but next to a road. Very Clean room and facility. Extremely friendly and helpful staff. Rooms had Microwave, Mini Refrigerator, Iron and board, Hair Dryer, Skillet, Toaster, Plates, bowls etc. with AC and Fan. Breakfast area was small but clean with Juices, Milk coffee and Tea. I definitely recommend to my friends. 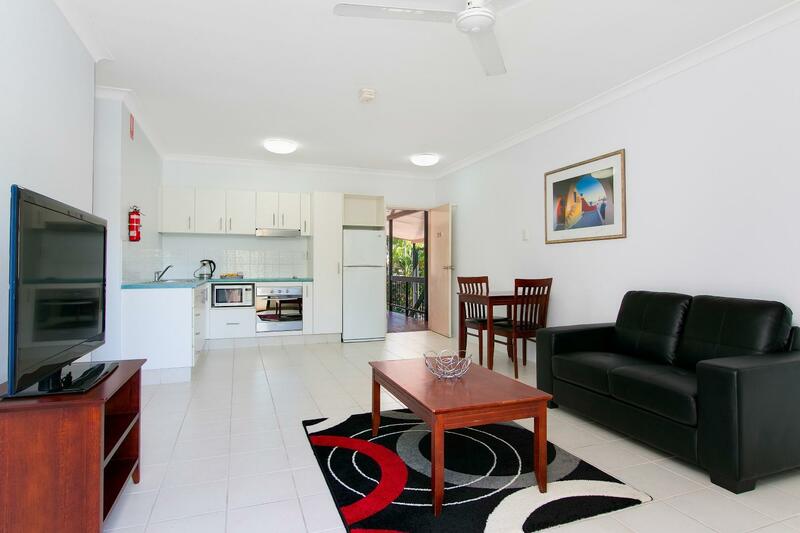 Very clean and tidy apartment. We had a lovely time. Staff were really helpful and efficient. Very clean bed linen, towels and lovely comfort beds. Fully worth for money. Free breakfast , drinks , tea and coffee . 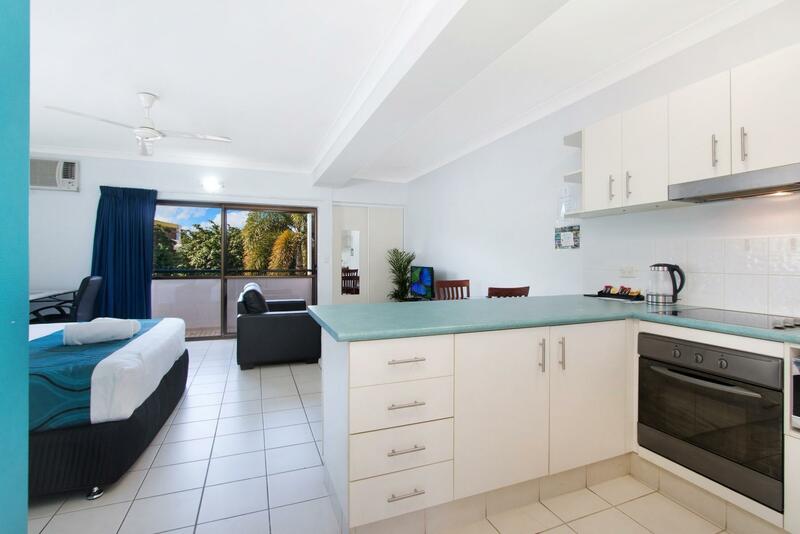 Well maintained visitor room with bathroom and toilet. We didn't want to wait until the checking time. Really great hotel and staff. Thanks a lot everyone. Definitely we will come back. 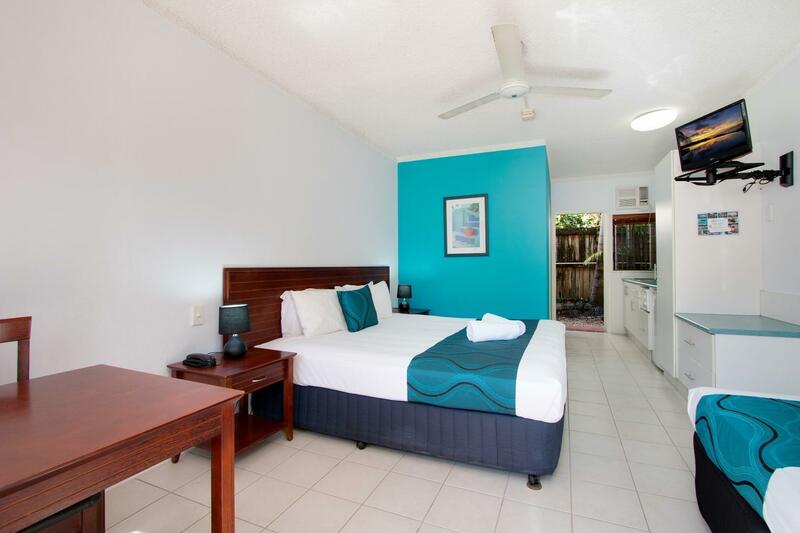 Nice simple Motel within 10 minutes walking distance from Cairns CBD, and 10 minutes from the Esplanade waterfront. 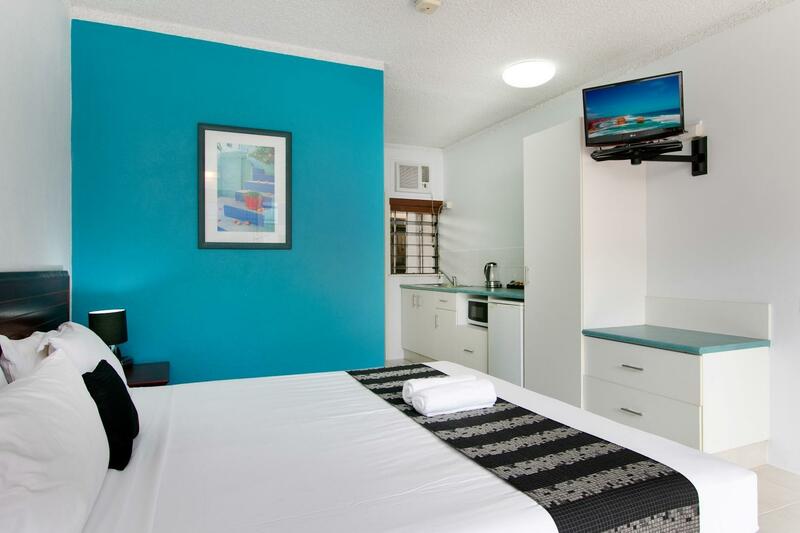 Basic rooms, but tidy, and well maintained. 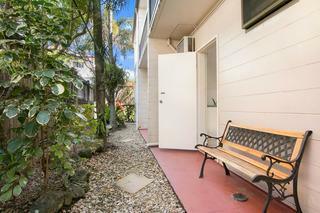 Friendly staff and tidy grounds, with basic swimming pool. Recommend for short-term travellers on a budget who plan on being out most of the day. Friendly and professional staff . 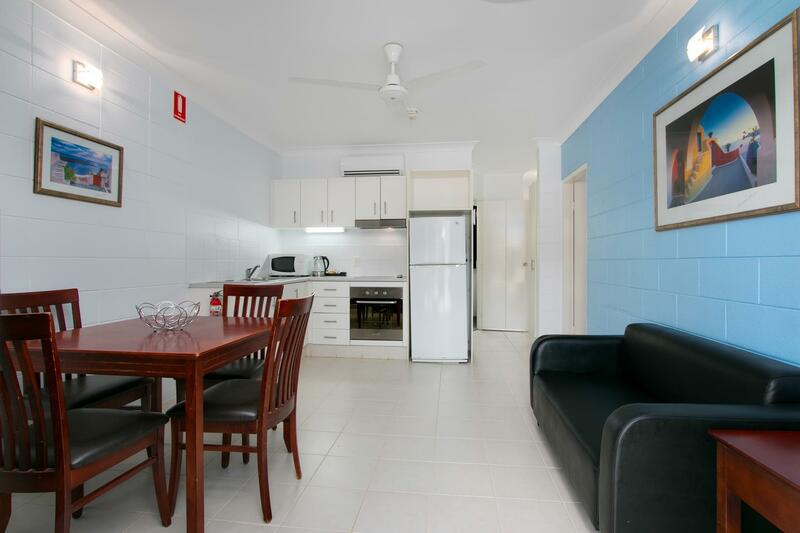 Located short distance from a few take away shops. Room ok but heard a lot of noise/voices from other rooms. Refreshment through out the day. Location is little further away - take 30 minutes walk to Esplanada & Reef Terminal. It is about 30 minutes walk to Botanic Garden. 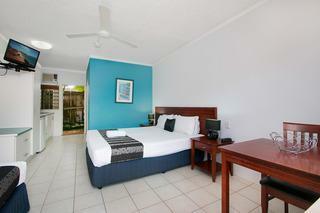 We stayed at Cairns city palms for the third time. Always best. Thank you. excellent service! Very clean and comfortable! Good staff and room that was well serviced. Courtyard layout and main street location meant noise from traffic and inconsiderate guests was a recurring problem. Designated carpark by room number would improve access. Friendly staff from reception to the housekeeper. Nice rooms and information available about the area and facilities. Was a little bit of noise coming from bbq area but I wasn't phased.